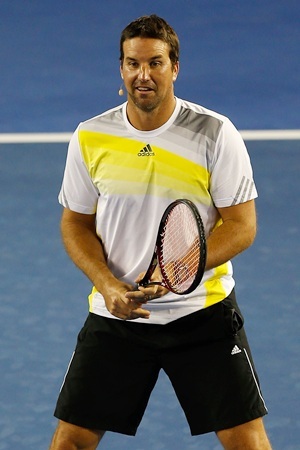 Former Australia No 1 Patrick Rafter announced on Sunday that he will partner Lleyton Hewitt in the doubles at the Australian Open. Rafter bowed out of tennis after his last match-up with Hewitt, a doubles rubber defeat against France that effectively lost Australia the 2001 Davis Cup. This is Rafter’s comeback post life in the Bahamas. Following Rafter’s return to the game, Rediff.com presents the big names in tennis world who made memorable comebacks. Martina Navratilova won 159 singles titles in a career spanning more than 30 years. She called it a day when she won the mixed doubles, partnering Bob Bryan, at the US Open in 2006 – six years after making a comeback to the tennis court only to play doubles. 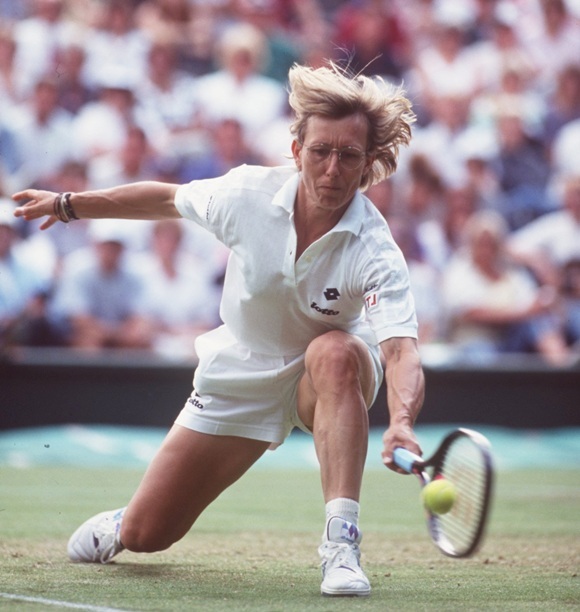 Navratilova had previously quit the sport in 1994, only to return in 2000 and finish with 18 Grand Slam singles titles, 31 in doubles, and 10 pieces of silverware from the mixed doubles. Sweden's legendary Bjorn Borg won 11 Grand Slam titles, including five successive at Wimbledon, before retiring in 1982, aged 26, shortly after the French Open. He returned to tennis in 1991 only to face failure. The Swede was ill-prepared for the return to the circuit in 1991 with his old-fashioned wooden racket and failed to win anything before calling it a day two years later. For the record, he failed to win a single set in his first nine matches on return! 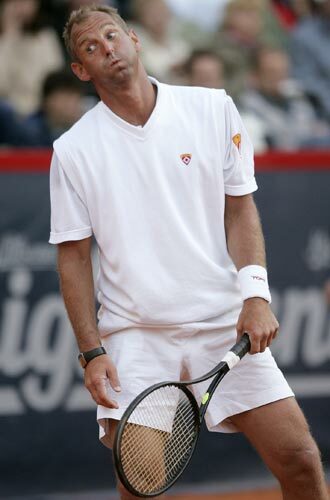 With five titles in three years, Thomas Muster was considered a bright prospect in 1989. Earlier that year he became the first Austrian to reach the semi-finals of the Australian Open, and, soon after, the first to be ranked in the top 10. 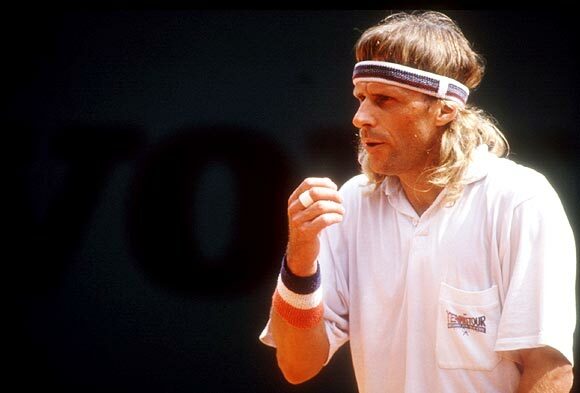 At the Key Biscayne tournament in March, Muster defeated Yannick Noah in the last four, setting up a final with incumbent world No 1 Ivan Lendl. But hours after that famous semi-final win, he was struck by a drunk driver, severing ligaments in his left knee and forcing him to withdraw from the final. He soon had to undergo surgery but continued to practice with the help of a specially-designed chair. The Austrian ace returned to the professional circuit after six months. And what a spectacular comeback it was? His win at the 1995 French Open made him the first from his country to win a major. The top spot soon followed. And he also won the tournament at Miami in 1997, the same where he had suffered that career-threatening injury eight years before. When at the peak of her career, with as many as eight major titles in just three years, Monica Seles was attacked and stabbed by a deranged Steffi Graf fan when she was playing in the German Open in 1993. The subsequent injury cost her two-and-a-half years on the professional circuit and Graf added considerably to her major tally in the meanwhile. Seles made a brave comeback though and added the 1996 Australian Open title to her trophy cabinet. Alas, she couldn't be as dominant as she used to be before the incident. Henin was world No 1 when she retired in 2008. She cited burn-out as one of the primary reasons behind the decision. She also said she had the desire to explore what life had to offer beyond the courts. Sixteen months later she was back on the tennis circuit and made news by reaching the final at the Australian Open in 2010. Unfortunately, she was forced to retire in 2011 for the second time after an injury during a match in the Australian Open. “The exams are clear and the doctors definitive,” she said in a letter to the media. The former world No 1 announced in 2005 that she would quit the sport at the end of the 2007 season. However, a string of injuries forced her to retire in early as May 2007 citing injuries. Clijsters made a comeback two years later. She got a wildcard and went on to win the US Open. In doing so, she became the first mother to win a Grand Slam title in the Open era since Evonne Goolagong Cawley won Wimbledon in 1980. She ended the year as world No 18. She defended her title the following year and eventually retired in 2012. The Swiss former world No 1 came out of retirement in July 2013 to play her first match on the WTA Tour since 2007. She played in the doubles as a wildcard with Slovakian Daniela Hantuchova at the Southern California Open in Carlsbad. 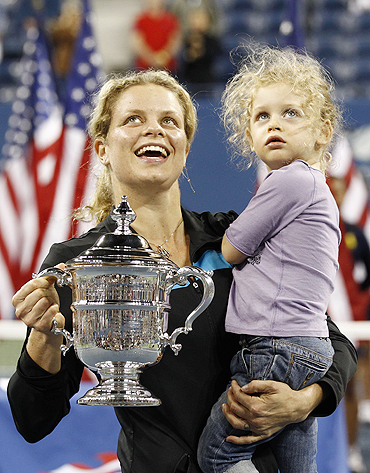 The move came just a day after being inducted into tennis's Hall of Fame. Hingis retired in 2003 at the age of 22 after a series of ankle injuries, but returned to the WTA Tour in 2006. She quit the game for a second time in November 2007, revealing she had tested positive for cocaine at Wimbledon that year. Hingis said she had "never taken drugs", but did not appeal against the two-year ban she was given. Will Melbourne Park be Serena's coronation street again?